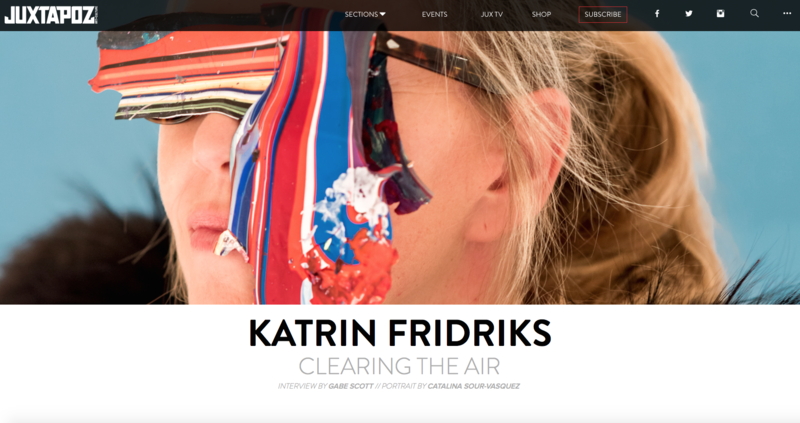 The intensely variegated and supremely balanced work of Icelandic artist Katrin Fridriks conveys messages far beyond the abstract relationship between material and surface. To describe her paintings as contemporary Abstract Expressionism is insufficient, negligent in the recognition and analysis of its many applied sciences. Ceaseless in her exploration of form, she maintains a devout connection with the Earth, as well her own mind and body. An expert at extracting the elements of her environment, Fridriks assimilates the earth’s natural phenomena, allowing various aspects to be absorbed somatically. After lengthy preparation and contemplation, a series of swift and carefully choreographed movements serve as a transcendental projection of converted energy into color and structure. Such application of these gestures summon strength, athleticism, endurance and precision. The sum of the parts not only brings a picture into focus, but demonstrates the process as an event itself.